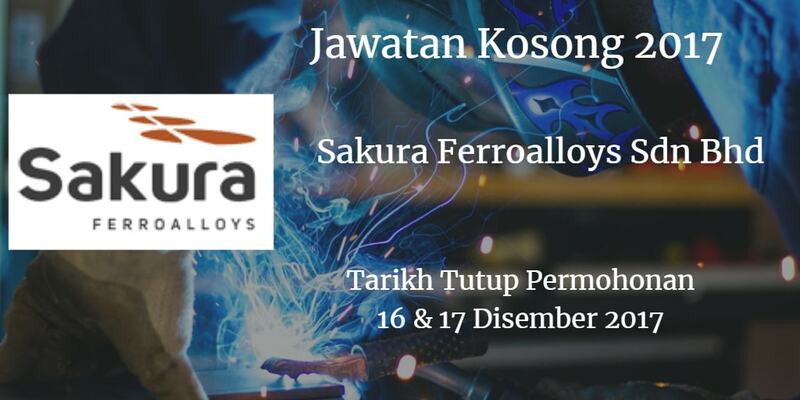 Syarikat Sakura Ferroalloys Sdn Bhd Johor Bahru membuka peluang pekerjaan Sakura Ferroalloys Sdn Bhd , terkini 2017 ,ini. 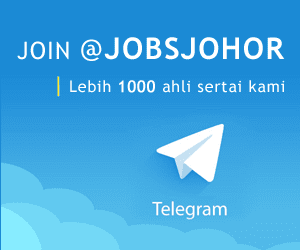 salinan sijil akademik yang berkaitan. materials importation and final product exportation. also need to ensure that all vessels berth correctly with proper alignment to the loading/unloading manifolds. manage multiple stakeholders. with periodic report writing and presentations. measurement prior to obtain signing off and approval. the management of the civil contractors on site. Reporting to the Assistant Manager - Mechanical Maintenance. the incumbent is responsible to maintain. repair. perform general lifting and rigging as required and be able to select and use manual lifting equipment. At least 3 years of workino experience with furnaces. finishers. conveyors. fittings. pumps. drilling. plate and structural steel work to maintain and repair chutes. bins and structures and various equipment on the plant. incumbent will be also fabricate new and modify existing plate work and structures. Minimum qualification of 3 credits in SPM. including English. Minimum qualification of Polytechnic Diploma in Mechanical/Electrical engineering or equivalent. Qualification of Degree in Mechanical/Electrical Engineering will be an advantage. At least 3 years of working experience with typical equipment like fumaces. crushers, conveyors. fittings. pumps, drilling. gearboxes. overhead cranes and hydraulics in a heavy industrial environment. control systems and VSD systems. The incumbent will be responsible to inspects. tests and replaces electric. Experience with Allen Bradley and Rockwell Automation software will be an advantage. line diagrams and drawings. specifications. procedures and able to adjust the drawings if required. Minimum qualification of Diploma in Electrical Engineering. company area such as housekeeping. grass cutting. general cleaning. preparing tools and equipment. Minimum qualification of3 credits in SPM. is also will manage and monitor the electrode. taphole and metal bath and will be the main communication hub. ensure environmental compliance and report any findings to immediate supervisor in a timely mzutner. policies. report on variance and initiate remedial action where necessary. and communicate with various departments in order to obtain accurate information. All positions are to be based at Samalaju Industrial Park, Bintulu. Sarawak. Visit our website at www.sakuraferroalloys.com.my/careers/ for more information.